Tenants & Homeowner Guarantors Or Applicant Options. No Application, Enquiry Or Quotation Fees. Maximum Loan Increased From £10,000 To £15,000. Spread Payments From 12 Up To 72 Months To Suit You. Let our 25 years experience in the loan industry get you the guarantor loan you want - obtain up to £15,000 and use the money borrowed for any purpose. No fees for our services, free quotations and options for tenant or homeowner guarantors , plus loan payment terms to suit your budget. Smaller guarantor loans are also available from just £500, enabling you to borrow just what you need and you can get a quote without having to have a credit search - giving you the loan figures before you go any further. Guarantor loans are not all about credit scoring you, they are often manually assessed and take into account a wide range of factors. Ready to start? - then simply complete the short ON LINE GUARANTOR LOAN ENQUIRY FORM . Alternatively give our UK based finance team a call on 0800 2983000 (free phone) / 0333 003 1505 (mobile friendly) and we can help you to get the facts and figures. Have you been told you cannot have a loan for any of these reasons? Even with any of these or multiples of them we could still help you get the money you require through a guarantor loan. Furthermore we have been able to increase the maximum guarantor lenders plan on our panel from £10,000 to £15,000 with repayment terms of up to 72 months and this is at probably the lowest guarantor loan rate at 29.9%APR. Our goal it to enable our customers to take out affordable guarantor loans of between £1,000 and £15,000 for a multitude of purposes and scenarios. Loans subject to status. Before you accept any loan you will be provided with a free quotation by the lender detailing the loan amount and the monthly repayments - so you can then decide to proceed or not. money can be paid to you on the same day you take the loan out and the guarantor finance credit agreements are signed. If a guarantor loan does not sound right for you but you need finance then still gives us a call or enquire on line - we will always try to help and have access to many different loan products. Here at First Choice Finance we know what you are going through and we strive to provide options for even the most burdened of our clients and our quotations are provided for free and without any obligation, so you choose whether to go ahead or not. Sometimes it`s worth looking to the past for inspiration, when banks could lend to you based on trust. Like champagne, vintage is often the best. First Choice Finance was established 25 years ago and through us you could have access to the some of the best guarantor loans on the market. 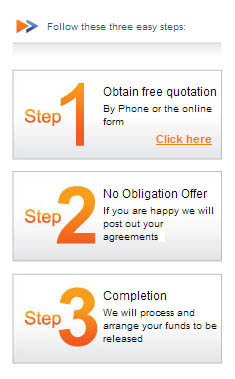 You can complete our no obligation on line enquiry form for loans online or call free & speak to us about direct guarantor loan lenders on our panel, dial 0800 298 3000 (free phone) or 0333 003 1505 (from your mobile) and see if a person, not a computer can get that loan for you. Have you found you are struggling to obtain a loan with the banks closing their doors on you when you look to get a loan for any purpose? Or that the loans you can secure seem to have such high rates or short terms that you worry about the repayments or think the total paid back is just too much? Many of us are relying on doing everything on the web, you are reading this so may well be looking for guarantor loans online. However when online it is important to know that you are dealing with an established company and that if you want to speak to someone about your specific loan enquiry you can. Guarantor loans are loans whereby an agreement is made by a third party (the guarantor) with the lender that they will ensure all payments will still be met, if for whatever reason you, the borrower, cannot pay the repayments. Basically, they are `guaranteeing` to the lender that the loan is always going to be repaid. Around 60% of guarantors are believed to be family members, helping their relative get a loan when they really need one. That still leaves a large proportion of people who are not relatives that are still helping friends or colleagues by backing a guarantor loan. Don`t worry if you haven`t come across a guarantor loan before, they are a relatively common and have been used for a long time in the any purpose loan market. You may not be clued up in the loan sector, but through First Choice Finance you have access to a finance support team who are. These particular loans are unsecured and can be used for any purpose. If you are looking to pay off other very high interest loans or credit cards and just want one manageable payment, they can do that - just make sure you compare the total amount payable as well as the monthly payments. Or if you are looking to start up that small t-shirt business as a second job that you have always wanted but just haven`t had the money to kick start it all... Well if your guarantor trusts and believes in you, enough to put to back you up for the loan, then you may be able to realise that goal. As long as you are aware that you still have to make the repayments on guarantor loans then they can be spent where you see fit, subject to the lenders approval of course. Representative Example: £3,500 loan repayable over 36 months. 36 monthly payments of £170.41. Representative 49.5% APR. Variable. Total amount payable is £6,134.76. It is very easy these days to find your self incurring some damage to your credit file making it appear that you have bad credit. Anything from a short term drop in income to an illness or even going through a divorce can lead to a temporary cash flow problem so credit and loan bills get missed. Then when you come to get a loan, those same companies that lent you money before may well close their doors. Guarantor loans for bad credit give you the opportunity to borrow the funds you need even if you have been unfortunate enough to have an impaired credit file. No Application Fees, No Set Up Fees & No Arrangement Fees with most guarantor lenders. A guarantor - a person prepared to back your credit worthiness - is needed to get the loan approved. These can be either a tenant or a homeowner for loans up to circa £7,000. Like any loan, guarantor loans have a variety of products to suit all shapes and sizes. Your best bet may be to find out which of our guarantor loan lenders fit your needs and call our in house finance team on 0800 298 3000 to give you access to some of the best guarantor loan deals for you or fill in the on line enquiry form. If you are a homeowner and do not want to ask someone to be your guarantor then you may not be at a dead end! We have access to homeowner loans, mortgages and remortgages specifically aimed to help people borrow the money they need for what they want it for. 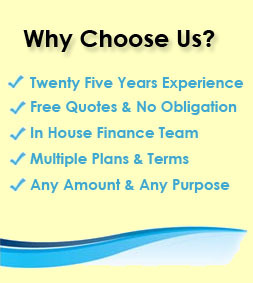 Call 0800 298 3000 or 0333 003 1505 and speak to our in house team. Guarantor Loans Are They For You? Guarantor loans can be the perfect solution for the right candidate. A guarantor loan is recommended for people who may have had bad credit, poor credit or impaired credit in the past, or maybe someone who just hasn`t had a chance to build up any existing credit. Although banks and other lenders may have been tripping over themselves to lend to you before, if you no longer fit with their computer credit scores or have had enough of relying on automated software to decide if you can have the money, it may well be worth looking to First Choice Finance to help you find a guarantor loan or any other sort finance where you may have a better chance of being accepted. 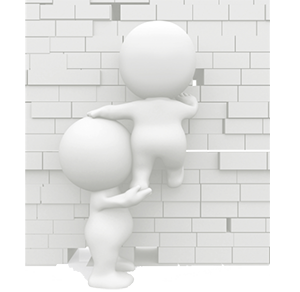 If you don`t fit to some lenders perfect mould (don`t worry you are not alone) then there are other loans on the market available to those with less than ideal credit. All obviously have their own advantages and disadvantages but the first thing to do is talk to someone about what you are trying to achieve. In the case of guarantor loans they are often cheaper short-term cash loan than some other loans on offer on the market and not only that the interest rates can be up to a fraction of the APR for some on offer, like many pay day loans. Most importantly though, a guarantor loan may even be a means of rebuilding your existing credit score by demonstrating that you can meet your repayments on time and are in fact a safe bet to lend on. Your past doesn`t have to dictate your future. All it takes is a little faith from your guarantor and you can be on your way. If you believe that you can find someone to have faith in you, then a guarantor loan could well be the right choice. Am I Eligible Or Can I get One? Unlike many loans the eligibility criteria for guarantor loans is much easier to meet. They are established on a relationship of trust, as much between you and your guarantor as you and the direct lender. Be that as it may, it doesn`t mean that you can just sign on the dotted line straight away. It is still essential to ensure you are in a position to take out the finance, so along with you making sure you can afford the repayments there are a few hoops to jump through. Just a few. What If Things Go Wrong To ? Here at First Choice Finance, we are fully aware that borrowing money is an important financial obligation, which should not be entered into lightly. Guarantor loans are no different. They are not secured on your home but the risks involved with not paying your loan are still very much real. If you cannot pay then your guarantor has too. If for whatever reason, neither of you can pay then you will both still be held liable. This could result in greater damage to both of your credit scores rather than repairing it. Think of it like trying to apply for a job without a character reference. A guarantor loan is only available to people who can find someone who trusts you enough to take a financial risk. If you have a track record with poor credit or have no credit history and now have genuine intent to improve your situation or want to get some finance in place then a guarantor loan maybe for you. 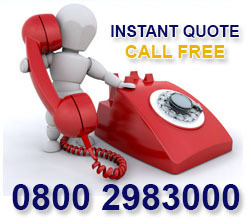 If however you want to improve your financial situation and need a loan but do not want a guarantor loan then give us a call on 0800 298 3000 (landline) or 0333 0031505 (mobile) or fill in our on line enquiry form and see if we can facilitate a great deal on an alternative any purpose personal loan for you. Guarantor loans have been developed to help those find finance who may be finding it difficult arranging finance with traditional loans such as high street personal loans, as a result they may be charged at a slightly higher interest rate. However the larger plans at the £15,000 pounds mark are at a competitive 29.9%APR. Also guarantor loan lender rates are a lot lower than many short term finance options such as Pay Day loans. With this said there are also things you could do that may lower the APR that you will receive from any loan provider, these include ensuring you are on the electoral role, keeping up repayments on other existing credit items such as revolving credit (credit cards and overdrafts) and paying your utility bills. The credit profile of your guarantor is also of importance if you wish to go down the guarantor loan route. Having a homeowner as a guarantor will give you access to more lenders in the market place but through First Choice Finance and our intermediaries having a tenant guarantor with a decent credit rating who is working and on their voters roll could be enough to get the loan you would like. Whatever your circumstance our guarantor lenders will offer you the lowest rate from their guarantor loan plans available for you. All quotes are free, there are no application, broker or set up fees when borrowing via our guarantor lenders and you will be under no obligation to proceed with the loan. The purchase of a new / used car, or other vehicle, is a common use for gurantor loans. With a loan using a guarantor you may be able to go out and purchase a new car with the money at hand, allowing you to budget the payments of the car over a longer term or haggle with the current owner or car dealer to get a better price. It is also worth checking out the HP car finance deals that may be offered by car dealer you are considering looking at. Many parents decide to help their children buy their first car by standing as guarantor for the loan agreement to borrow the money they need or lending the money to them directly. It is important to note that both the borrower and the guarantor will be responsible for the repayment, in the event of the borrower not making the loan payments the guarantor will be required to pick up the loan repayments or risk getting defaulted credit. A guarantor is someone who will take responsibility for a loan in the event of the original borrower missing or defaulting on a payment. Being a guarantor means that you will be liable for loan repayment in the event of the original borrower not completing the payments over the term. Dependent on the lender a guarantor can be from 18 years old up to potentially 78 years old at the end of the loan term, as you are responsible for paying the loan if the original borrowers does not you will need a stable income. This could be from being employed, self employed or receiving a private pension. 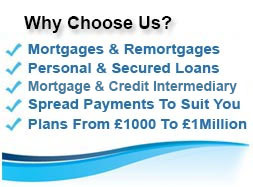 First Choice Finance is a long established UK credit intermediary business and have a panel of lenders / intermediaries that not only include guarantor loan providers but also lenders offering personal unsecured loans and secured loans, we have even helped people obtain money via loans when they have been refused a loan elsewhere. 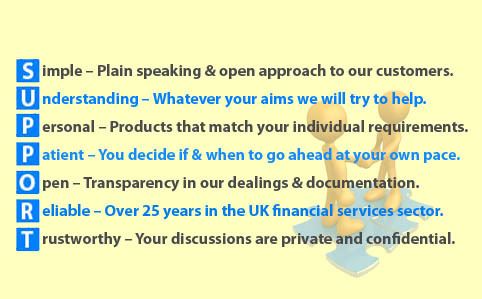 We are also directly authorised by the Financial Conduct Authority who regulate consumer credit in the UK. Please call free phone 0800 2983000 or 0333 003 1505 to discuss the different finance options that we may have available for you where you do not require a guarantor to back your loan application.